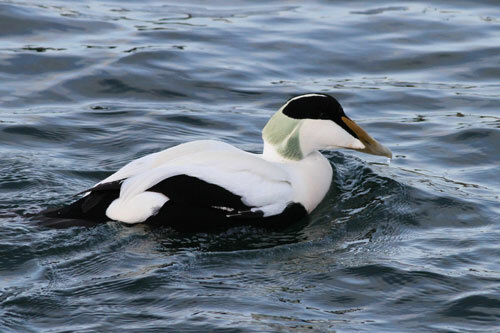 After reading several articles on the possible occurence of Northern Eiders in Britain, i thought i’d have a crack at finding one. However, things aren’t always as easy as you’d hope… The bird above has a nice mustard tone to the bill, but no sails on the back at all. 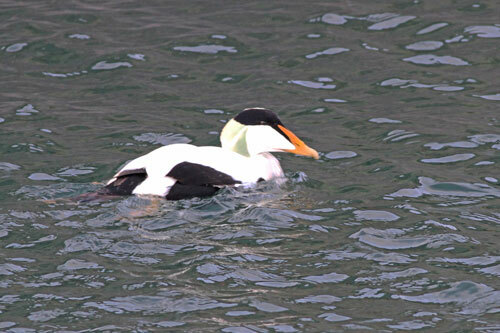 Taken in Montrose harbour in Jan 2012. The bill on this drake was just ridiculous, almost bright orange. Unfortunately my exposure was out again, so i’ve had to alter the levels a bit which may make the bill appear more orange than it really was, but trust me, it wasn’t far off this! Again, a complete abscence of sails. Montrose, Jan 2012. 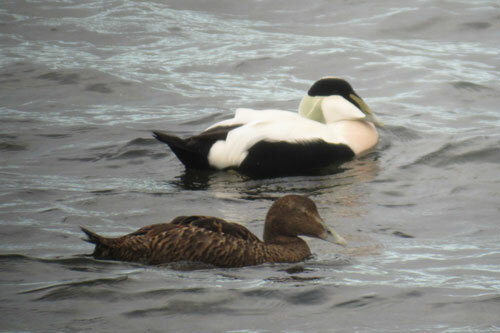 This pair were off Ruddon’s Point in Oct 2011 and were my introduction to the confusing world of sailed Eiders. 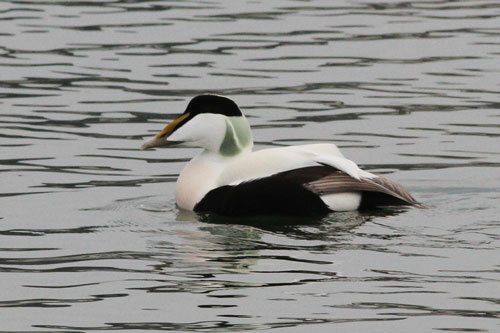 The drake has a great set of sails, but has a very normal colouration to the bill, although individual variation has seen fit to gift this bird a slightly “Roman” nose. 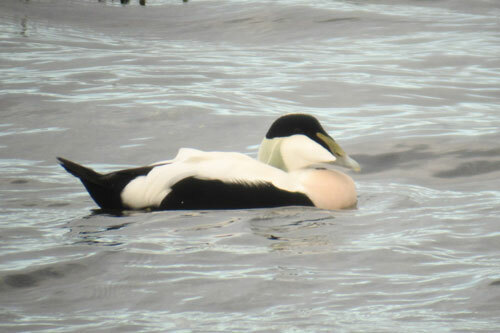 I spent ages watching and videoing this bird, only to discover that several of its colleagues on the other side of the point were identical, with decent sails and normal bill colouration. Another view of the Ruddon’s Point bird.